We may notice that most asanas are linked to nature and the natural cycles of the world around us. The opposites of day and night, calmness and activity, and heat and cool are also elements infused throughout yogic traditions, and the Sun and Moon are big themes often worked with in a yoga class. The different phases of the moon can have a powerful effect on both individuals and the world around us; the word ‘lunatic’ is actually derived from the Latin word ‘Lunar’ meaning ‘Moon’, so it’s no wonder this part of nature greatly influences our energy and practice. 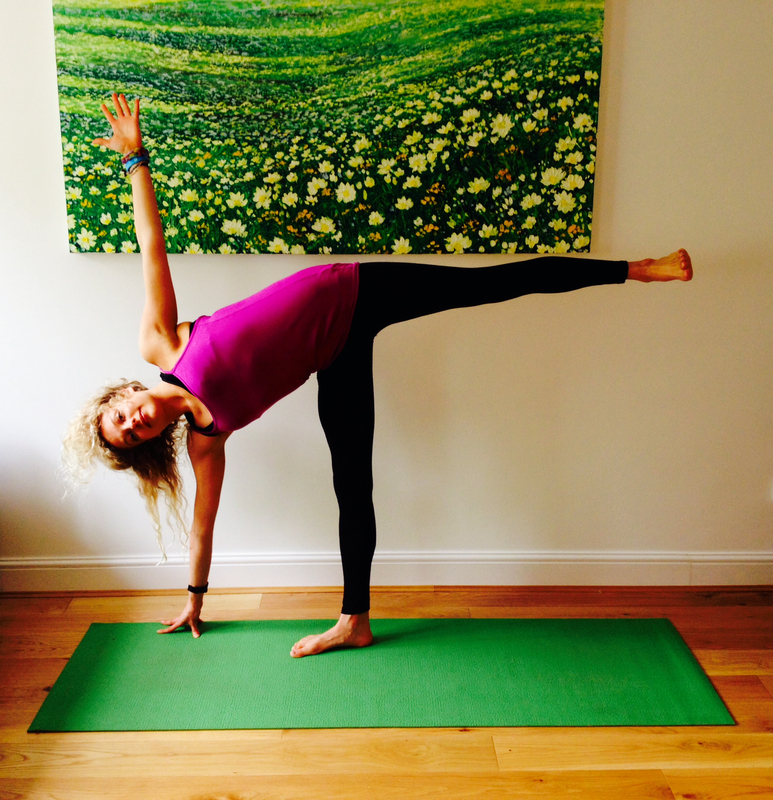 With many poses and sequences named after phases of the moon, Ardha Chandrasana or ‘half moon’ is just one asana to help us get more connected to this powerful natural element. ‘Half Moon’ allows us to work on balance and stability through the legs and hips, while maintaining a feeling of openness and lightness in the upper body and lengthening through the calves and hamstrings. On a mental level; Ardha Chandrasana improves our sense of balance and proprioception (our sense of where we are in space), and teaches us to breathe steadily through challenging situations! Half Moon is a great pose to use throughout a flowing sequence of warrior poses and is often transitioned to from Trikonasana (triangle) or utthita Parsva Konasana (extended side angle pose). To prepare the body for Ardha Chandrasana, move through a couple of rounds of Surya namaskar B, followed by a dancing warrior sequence, which consists of: Virabhadrasana 1, virabhadrasana 2, reverse warrior pose, and parsva Konasana (side angle pose). Warm up the legs with trikonasana, and concentrate on maintaining an open chest and expanded arms. From utthihta Parsva Konasana (extended side angle pose), take the [right] hand diagonally out and away from you to the right, with the fingertips on the floor, and the [left] hand to the [left] hip. On an inhale; lift the [left] leg up, parallel to the floor, and concentrate on keeping the hips and chest open (make sure the top shoulder is back, as there is a tendency for the top palm to be further back from the shoulder). If you feel balanced, lift the top arm up so the arms are in a strong, straight line. On an exhale, release the top foot back to the floor and come back in to extended side angle pose. To counterpose Ardha chandrasana, come in to Tadasana and consciously focus on grounding through the feet to find your stability. After a few breaths, lengthen the calves and hamstrings with parsvottanasana, and then move to the floor for Gomukhasana to open the outer hips which have been worked in this asana. 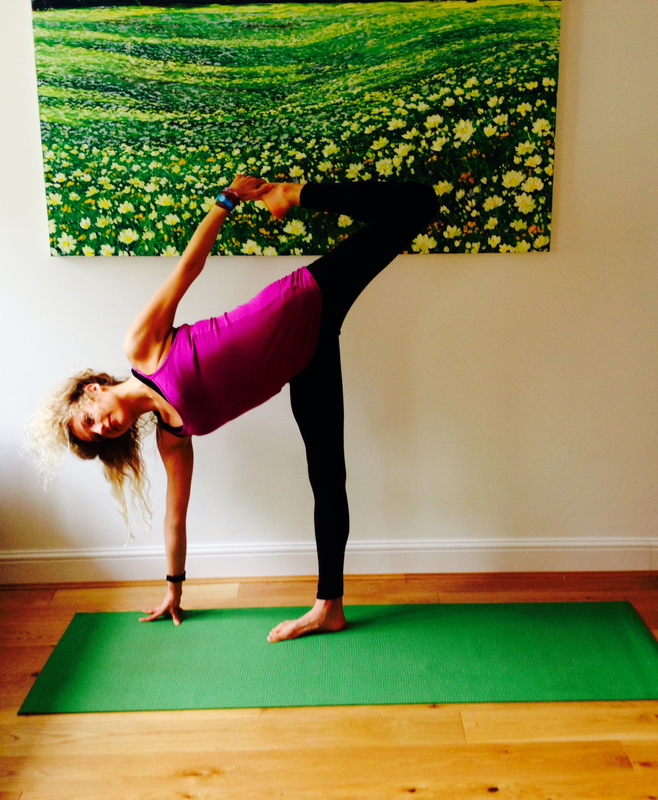 Add ardha chandrasana to your practice and concentrate on cultivating the calmness of the moon!